Charles M “Chuck” Favrot, the captain of the Krewe of Choctaw Carnival parading organization since 2010, died at his home on Tuesday (Feb. 26) of undetermined causes. He was 48. Mr. Favrot’s sister Fran Landry said that he had retired from his position as krewe captain after the most recent Choctaw parade on Saturday (Feb. 23), becoming captain emeritus. Landry said that membership in the Krewe of Choctaw, which was founded in 1935 with a Native American theme, had been a tradition in Mr. Favrot’s family since the mid-1950s. 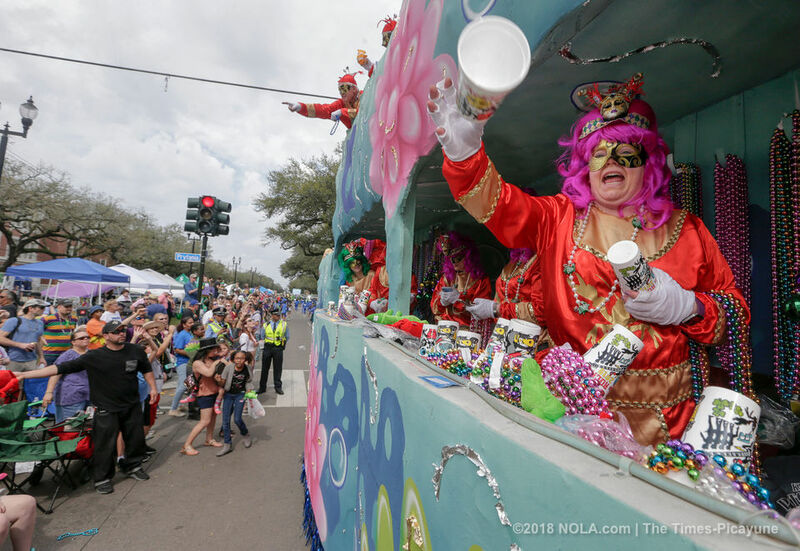 His grandfather Stanley Southerland was chief (the krewe’s equivalent of king) in 1967. His mother Thais Southerland Favrot was Princess (queen) in 1958 and Mr. Favrot had been a papoose (page) at age seven. He became the krewe’s chief in 1999. Landry said that Mr. Favrot was born in Marrero and grew up in Belle Chasse. He graduated from Holy Cross high school and was self-employed through most of his adult life, providing car wash and detailing services. His second preoccupation, after Choctaw, was the Saints football team. He was a season ticket holder. Mr. Favrot was engaged to be married to Monica Tabor, with the wedding scheduled for March 30. He is survived by his son Charles “Charlie” Favrot and daughter Shae Michelle Favrot, the children of his first marriage to Stephany Klein Favrot. He is also survived by sister Fran Favrot Landry. He had one grandchild. A funeral for Mr. Favrot will take place on March 7 at Mothe Funeral Home in Harvey. A visitation will begin at 9 a.m., followed by a service in the chapel at 1:30 p.m.